There’s been a heated argument between MPs scrutinizing proposals to regulate the national DNA database. At the centre is Notts MP Vernon Coaker, the Police Minister, who is being accused of trying to sneak through database regulation without giving Parliament a proper say. Lobbydog first spotted the story in the Daily Mail today, and decided to give some members of the Policing and Crime Bill Committee a call to find out what really happened. The UK is being forced to reassess its database after EU judges ruled in December it was unlawful to keep the records of innocent citizens. Innocents make up one in five of those on the database. Despite having known about the ruling since the end of 2008 the Government suddenly introduced an amendment to its Bill during recess last week. That meant there would be just two committee meetings left, on Tuesday and yesterday, for opposition MPs to question that amendment. The technical bit - the change means the Government will formulate its compliance with the EU ruling through statutory instruments (SI), not primary legislation. Primary legislation goes through all the normal law making processes, being widely debated in the Commons, Lords and in committees. But SIs are only debated in a special SI committee – in which Government whips are able to pack loyal MPs who won’t rock the boat. The SI committee can approve the new rules, seeing them pass into law, without the issue being debated in the House. Opposition MPs now expect the Government to try and stretch the EU ruling as far as possible in an attempt to maintain the size of the DNA database. That is the kind of thing Ministers would be called out on if the rules had a chance to pass through the Commons. 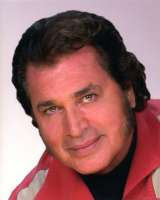 I've always thought Engelbert Humperdinck was made of strong political material, now it's been confirmed. The singer is beating Keith Vaz and former Health Secretary Patricia Hewitt in an on-line poll for who people would vote for in a Leicester Mayoral election. But even the charms of Humperdinck haven't been able to halt the onslaught of votes for Filbert the Fox - Leicester City FC's mascot. Ken Clarke has been called a few things in his time, though being compared to a drugs smuggler must be a first. A stinging attack was launched on the Rushcliffe MP – it came up while I was away but I couldn’t let it pass – in which he was compared to a Columbian drugs mule of all things. The rather bizarre comparison was made by the usually smooth-talking Michael Gove in a Times article a few years back, and then regurgitated by Ed Balls in the Commons. For the Conservatives to return to power, the party must be seen to have learnt from its mistakes, rejected the arrogance, cynicism and pocketlining of the Major era. Ken Clarke is sadly ill-equipped to do that job. 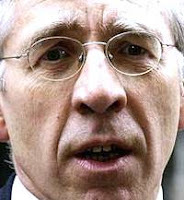 As John Major’s tax-raising Chancellor, British American Tobacco’s handsomely remunerated director, the Euro’s voter-rubbishing cheerleader and the tireless hammer of nurses and teachers, Ken carries more tainted baggage than a mule on Colombia airways. After being confronted with the criticism of his now cabinet colleague, Gove told Balls his Commons speech was uncharacteristically witty. Maybe someone else who is itching to attack Clarke was feeding him lines? My name is Lobbydog and I am a British journalist stranded in Europe. I was walking around Austria when my wallet was stolen and so I have not been able to access my bank. Please can you rescue me by sending £2billion as quickly as possible - cash rather than shares in any banks would be preferred. Nottingham MP Alan Simpson was spot on with his withering comments during the Freedom of Information debate. People understand there are some things they shouldn't know, but that wasn't the message being sent out by Jack Straw's decision. "The public will believe that in refusing to clarify whether the Cabinet were among the deceivers or the deceived, nothing is being protected other than their own interests," said Simmo. "As we know, there are known knowns; there are things we know we know. We also know there are known unknowns; that is to say we know there are some things we do not know. But there are also unknown unknowns - the ones we don't know we don't know," said Rummy. Are these minutes destined to remain known unknowns or unknown unknowns? FSA chiefs get a grilling today and one of the questions will rightly be - how do we stop ourselves getting into this situation again? I suggest... bring in Terry Wogan. He saved Radio 2, perfect training to save the country. Unlike most of the big chiefs in the banking industry, Tel has got a banking qualification. 'After leaving college Terry went into banking where his innate ability to separate half crowns from two bob bits soon marked him down for greater things,' according to his BBC profile. Would it be worth having a complete clear-out and replacing everyone with Radio 2 DJs? Steve Wright roads and rail, Janice Long health, Russell Brand... Social Services? "There is a balance to be struck between openness and maintaining aspects of our structure of democratic government." Absolutely right Jack - and the reason those Iraq minutes should be released. Who was it who said that while Freedom of Information was "inconvenient and at times embarrassing," it was right because, "government belongs to the people, not to the politicians." Obviously a very differnt style of government from the Cabinet government which Jack Straw believes would be serious damaged by the publication of these minutes.